We get it. You watched a show on a popular home decor and renovation channel, and you are ready to take control of every home renovation that comes your way. These types of shows make it look so easy when installing new hardwood flooring. While we always recommend professional flooring installation, some flooring is easier to install than others. However, when it comes to installing hardwood, wrong measurements and mistakes add up quickly and cost you thousands in the long run. 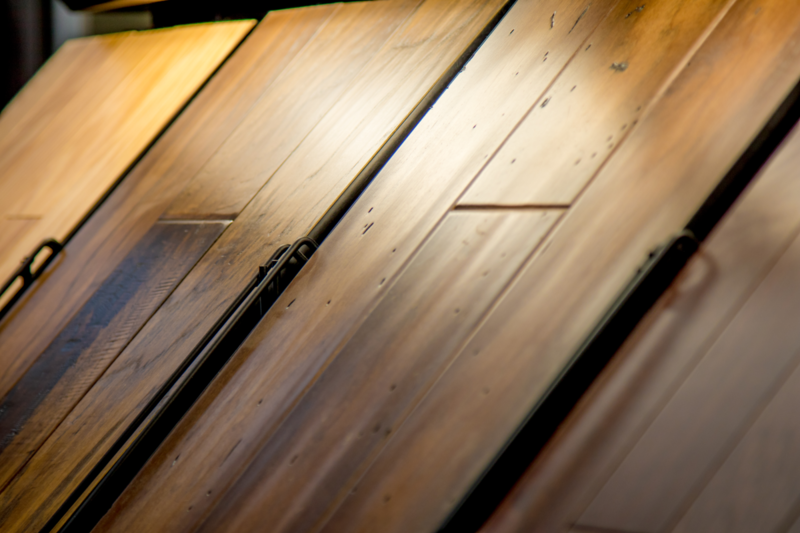 Here are a few mistakes to avoid when choosing to DIY your hardwood floors. This is a rookie mistake. Even professional flooring installers know that accidents happen and hardwood planks crack, split, or break. After you have carefully measured and know about how much you should need, do yourself a favor and add more material. As a DIY installer or someone trying this for the first time in a long time, you may need more material to make up for any mistakes that may occur. Having additional planks on hand may not save you much money, but it will definitely save you time. Unless you are someone who watches how-to videos or reads directions, then this is probably a BIG step that you may overlook without even knowing it. 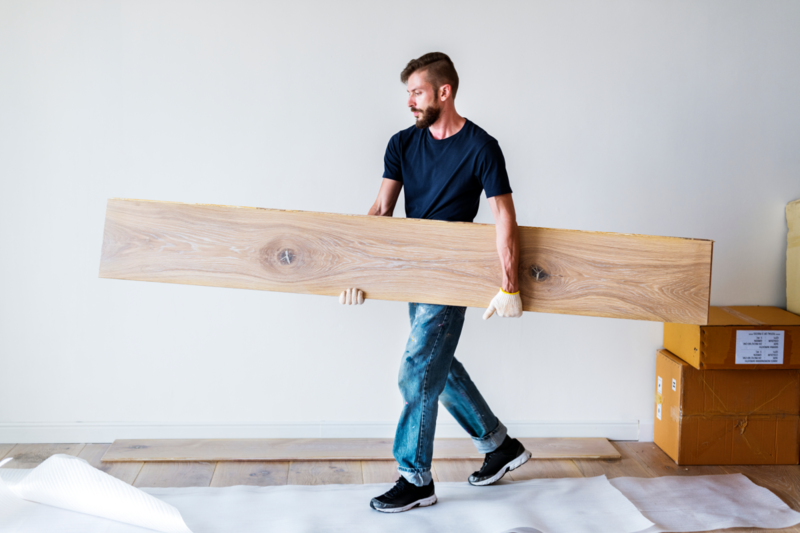 Since real hardwood expands and shrinks depending on the temperature of a room, it’s important that you allow the piles of hardwood flooring to sit in the room where they will be installed for at least three days. Not giving your floors time to acclimate properly can result in buckled or spaced out flooring after installation. As a rule of thumb, you should give your hardwood floors space the size equal to the thickness of the plank around the perimeter of the room. This will give your flooring the space that it needs to expand and retract as need. The worst thing you can do when taking on a home improvement project is to be in a hurry to complete it. When you start pulling up old flooring like carpet, you may notice that your subfloors are not so level. Installing new hardwood floors over an unlevel subfloor is just asking for a disaster. If you already have hardwood floors installed, then you may be looking for ways to make them look new and refreshed. If you are thinking about staining your floors, then you either need to try practice your techniques on floors where it doesn’t matter if they get completely ruined. This is because staining hardwood floors isn’t as easy as it may seem. How do you plan on sanding your floors? Most people choose to go out and rent a sander. If you don’t have a lot of experience, then more than likely you will make a few deep scratches and dents. Some sanding tools such as an edger also make cross grain/circular scratches. When the stain is applied, these scratches absorb more of the stain and highlight all of the little mistakes you have made while sanding. Not all species of wood flooring takes to being stained. Some species will even reject the stain. What does this mean for DIY-ers? After you have worked hard to strip, sand, and stain, you could be left with an uneven mess. And if you add too much stain, then you could get horrible looking bleedback (when stain comes to the surface), and it’s back to the beginning. Not every homeowner wants to stain their floors. Most are okay with sanding and adding a fresh finish to make the floors look like new. It’s one thing to not know how to use a piece of equipment. It’s a new ballgame if you use the WRONG equipment the WRONG way. 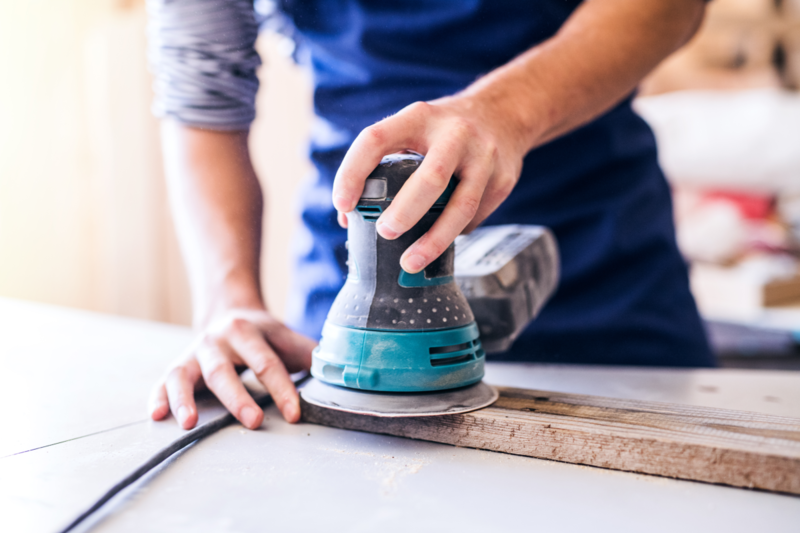 It’s important to take note that most DIY-ers cannot rent a professional sanding machine and are often left with a low powered option that tends to create dents and scratches. And when it comes to choosing sandpaper, the low-grit the professionals use to completely take off the finish also may not be available to DIY-ers. Because it is possible to sand your wood floors too much, especially engineered hardwood floors, it’s really important to know how to sand properly and use the right tools. Most DIY-ers who have done their homework know about sanding too much. However, this often leads to sanding too little and not getting all of the old finish off. At Village Carpet Shop, we have a large selection of durable hardwood flooring. And when it gets time to do the installation, our team of professional installers has years of experience and can get the job done quickly, efficiently, and properly. Let us take care of removing old flooring and installing your floors so that you can enjoy them for years to come. Already have hardwood floors in your home? That’s great! At Village Carpet, we can also repair damaged floors, sand, and refinish your old floors to look like new. Come in and visit us today or give us a call at (870) 425-6919. We would be happy to answer your questions, show you the many different flooring options we have, and even schedule a FREE ESTIMATE.